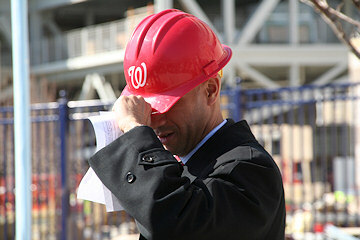 Less than four weeks before Opening Day, the Nationals and the DC Sports and Entertainment Commission installed home plate and unveiled the huge high-definition scoreboard. 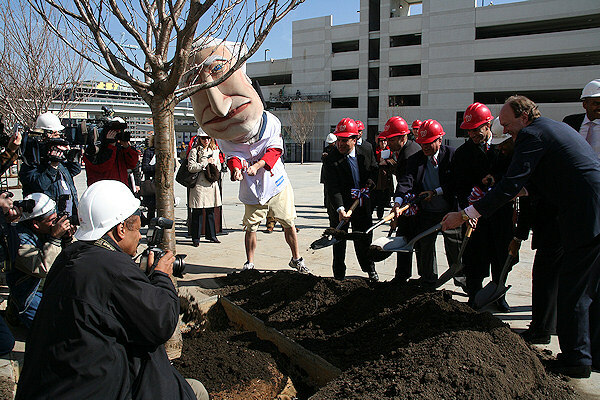 President Washington prepares for the planting (not the chopping down) of the cherry blossom tree. 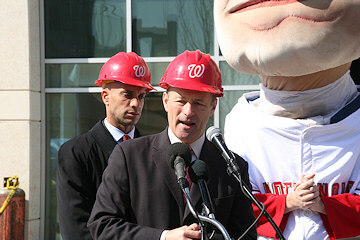 Mayor Fenty says good things about the ballpark and the cherry blossom trees, while President Washington presides. 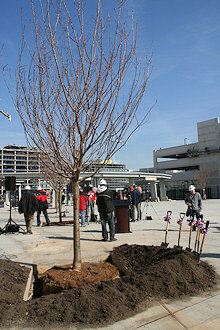 (Left) The ceremonial cherry blossom tree to be planted. 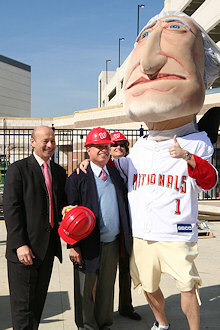 (Middle) Stan Kasten, Mark Lerner, Judy Lerner, and Our First President. 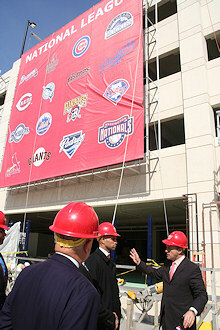 (Right) After planting the tree, Stan Kasten showed Mayor Fenty the first of the banners being hung on the garages. 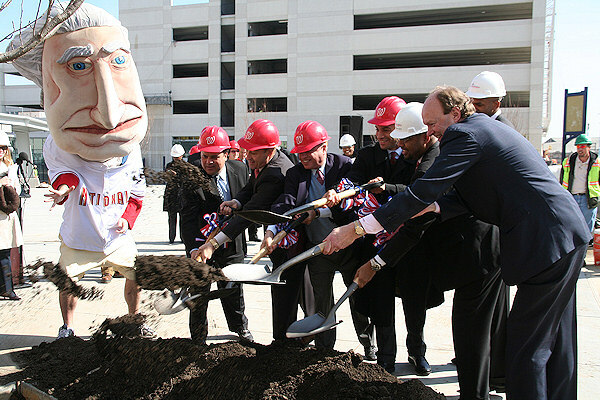 Stan Kasten addresses the group about his first-ever tree planting. 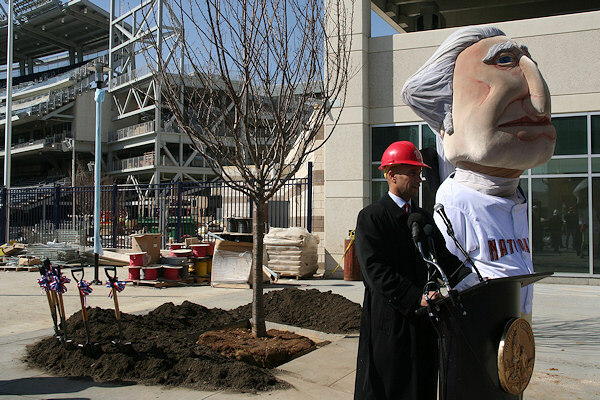 "Next week we'll be installing the leaves, and then we'll be painting them pink." 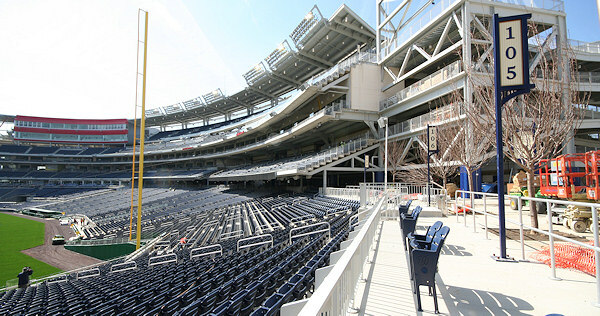 The centerfield cherry blossom trees, as seen from the edge of the visitors' bullpen. 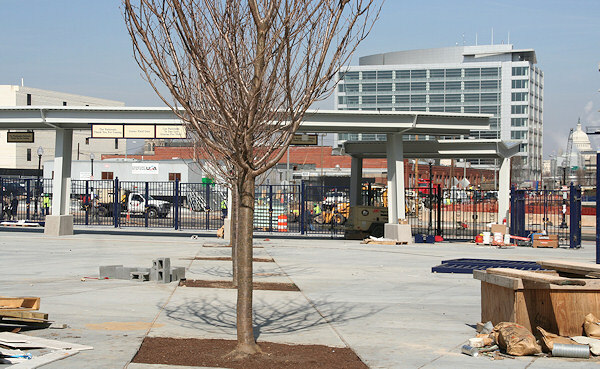 A wide-angle lens shot of the trees behind sections 105 and 106, and the field. 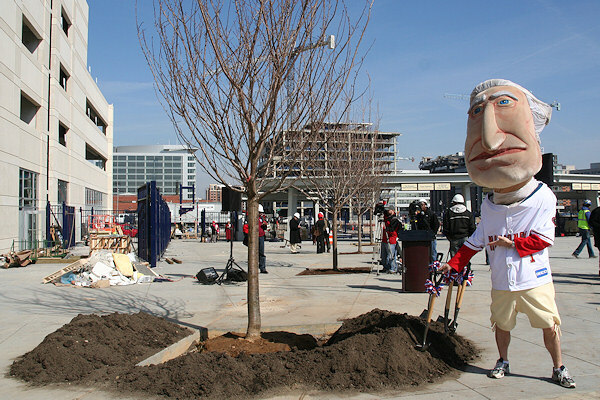 Cherry blossom trees planted in the Center Field Gate plaza, with the entrance gate and the Capitol dome.